South Sudan is the world’s youngest state, having gained independence in 2011. Since then, it has experienced civil unrest and conflict, compounding existing tribal divisions. The John Dau Foundation has stood out in building peace across these multiple divides through healing people. The John Dau Foundation serves a mission to provide healthcare and nutrition programs to South Sudan. They build clinics, train health workers, and focus on nutrition for children and pregnant and lactating women. John Dau, the founder of John Dau Foundation, was a survivor of genocide and one of the 27,000 “Lost Boys of Sudan.” He is an internationally recognized peace-builder, human rights activist, author, and speaker. He recently spoke with VantagePoints about overcoming challenges and realizing a larger vision for a united and healthy South Sudan. What is your ultimate vision and goal for South Sudan? My ultimate vision is for a better country. I want to see a country that is democratic and united. A country that does not look at thing along tribal lines. I want to see a country that is governed by the rule of law. I would like to see a country that reduces corruption. A country that cares for its citizens and that prioritizes education. A country that will be friendly to its citizens, and also its neighbors and the world. A country that will give every citizen a chance to succeed, a chance to participate, a chance to call it their own country. Above all, a country that I want to see prosper. South Sudan is a country that is blessed by God. When you look at our natural resources, like the rain, it rains from April to November. That means we have water. We are a country blessed with water. We can use water to water our livestock, for transportation, for everything. Water is life. I’m not going to address oil, because oil sometimes comes with problems. We have land that is fertile. We have land that is virgin. It has not been used at all, nothing has been planted. South Sudan is not polluted. We have lots of animals. When people talk about Serengeti, they think of Kenya or Tanzania, but South Sudan is a place to see those animals. They migrate from one place to another. That could generate a lot of income from tourism for South Sudan. Then they will visit and fall in love with South Sudan too. There are many varieties of animals, especially birds. I’ve never been to another country with such variety in animals and especially birds. It’s hard to imagine because it’s a country that has been at war, so you would imagine that the animals and birds would migrate away, or that they should migrate, but they stay there. All in all, this is a country that has every reason to succeed. It has every opportunity. There also very few people in South Sudan. We have very few mouths to feed. We have few people to treat. Few people to go to school. It’s not like we are overpopulated. The land is very vast, and there are few people. We can care for each and every person and get them to be responsible citizens. The John Dau Foundation has launched some very successful initiatives in the region. Please give us an overview of your work. Starting in 2007 through today, we have treated over 190,000 people. We vaccinated over 20,000 children. We helped over 20,000 mothers give birth in medical facilities. We fed over 250,000 people who were children, mothers, the elderly–anybody who needs food. The food was given to us by our partners. Those are the things that have helped our people. We restored eyesight for over 600 people who were completely blind. Some very generous doctors from the United States came to South Sudan and performed eye surgery for more than 600 people who were completely blind. We also helped children born with cleft palates. We took them to places like Uganda or Nairobi to get surgery. They can go back to school, where they used to be picked on by other children. We restore dignity for these people. We treated over 380,000 people with HIV/AIDS. I could go on and on about our successes in the region. The John Dau foundation started with one clinic. In 2013, that clinic was destroyed. That means we were left with nothing in 2013 and 2014. Then, we got there again with the support from our donors and partners. South Sudan was able to have 14 facilities. From 2015 to now, we have 14 facilities. We started with one, and that one was destroyed. It was destroyed by rebels and government soldiers. What they did; they looted it, taking medicines and medical equipment out, and destroyed anything they could not carry. Then, the government troops came and took the rooves from those buildings. It was completely destroyed. Some buildings were also burned down. It was completely destroyed. Regional conflict has certainly impacted the John Dau Foundation. What are your largest barriers to providing such vital services across the entirety of South Sudan? Is conflict your largest barrier? Our biggest barrier is a lack of transportation. That area does not have meaningful roads and it kills cars very quickly. Communications become a barrier also. Digital communication and cars are both barriers. These are our biggest problems. It stops us from doing things. The war and insecurity, those would be number three on the list. The biggest, number one barrier is a lack of ambulances, we need ambulances. We need vehicles that can move medical supplies, teaching supplies, and move patients from one place to another–we do not have that. We also have problems with communications; using the internet becomes very expensive. We installed satellite internet in five places, it is very pricey. That area does not have telephone lines, there is no network. It would very nice to have, but that area has no communication capacity whatsoever. We only use the internet, which is very expensive, but we have no options for communications. Transportation and communications, especially digital communications, are the biggest barriers. After that, would be the fighting and insecurity. We could reach more people if we had transportation and communications. Our word would get out very quickly. Right now, we reach just over 300,000 people. If we had communications, we could reach another 5,000 people. We could reach many more people than we do now. 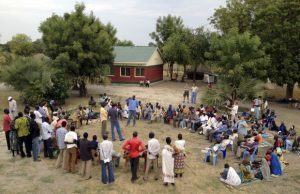 How does the John Dau Foundation navigate the political, cultural, and tribal landscape of South Sudan? The policy of John Dau Foundation is to serve all South Sudanese regardless of their tribe, religion, or location. We did that from the beginning, from 2007 through today. We serve the people. One example is the eye surgery. I went there [to South Sudan] in 2011 and 2012. I, myself, went to different places–to different tribes. I went to the Nuer communities, the Murle communities, Anuak communities, and also to the Dinka, and I told them, “Look, we have this clinic and this opportunity. If you have people who are blind, mobilize them, I will take them to get eye surgery and come back.” They were very skeptical. The John Dau Foundation hospitals and clinics have been treating people from different tribes, and this is something that is clear. Ask someone from South Sudan, they will tell you that the John Dau Foundation operates with the mindset of South Sudan. People, togetherness. One people, one country. So, that’s what we do right now. If you look at our staff right now, you will see they come from Nuer, Dinka, and other different tribes. They speak different languages. They make people feel better, feel comfortable, feel welcome when they see a patient coming to our facility. The people we employ are from different tribes. This is very different, this is something unusual in South Sudan. If you go to other places in South Sudan, you will see only people from the same tribe as the group running the organization or institute. When you look at John Dau Foundation, it is diverse. We even include people from Kenya and Uganda, Ethiopia. Although I am a Dinka myself, I don’t see John Dau Foundation as a Dinka entity. This is an organization that serves all people of South Sudan and will continue to do the same. That is how we break down the barriers along tribal lines. That has helped bring peace to South Sudan, except the crazy politicians that caused the war. The normal people, the civilians, the neighbors, knew that this was very good, and they appreciate it–but then politicians mobilized them to do their dirty work. Health is a human right. If you go to South Sudan or other places, it is very difficult to understand, unless you have somebody talking about it. Health is a human right. Everyone is entitled to health, regardless of where they come from. We are here to sound the alarm that health belongs to everyone, regardless of where they come from. The John Dau Foundation provides many vital services for South Sudanese citizens, refugees, and IDPs despite immense challenges. How do you keep up with the need? Because, our hearts, our minds, our souls, our hands, and everything are in it. We want to help people. This is not something that the government or anyone asked me to do. This is something I have decided to do, as well as the people that work with me. That includes our board of directors, my staff–it’s something that we have decided we want to do. As difficult as it is, this is something that we want to do. This is a mission that we have decided that we want to accomplish. That is why we are keeping up with it. The need is great, but our generous donors make it possible. Our generous donors, they heard our call, they heard our cry; they are compelled to give and give generously. That is how we can keep up with the demand, with the need. We make our call–our rallying cry, and the donors respond. The financial responses help, the volunteers donating their time help, the spreading of words helps. The tools given to us, the non-financial supplies given to us, the prayers given to us. What are the critical factors that will ultimately drive South Sudan to become a more a resilient nation? Number one is to bring education, educate the next generation of leaders. Being a leader doesn’t mean someone wants to be a president. Being a leader means these are builders, nation-builders that will build the country. They will go into the financial sector, the health sector; doctors, nurses, midwives, things like that, those are leaders. Teachers who will teach, those who will go into law enforcement, those are leaders. They will execute the law, not based on tribal affiliation, but based on the rule of law. South Sudan will become resilient if you give the young generation an education. That [education] is very important. They will not only learn in class–but also through experience, through example, through what they see around them. That is what I am working very hard to do now. That would make South Sudan resilient. There would be mutual learning and benefit. The American students go elsewhere to study, they go away abroad to learn how other people do things. Wouldn’t it be great to bring people from elsewhere to their American universities? They could build relationships, create friendships, share languages, share cultures, really learn from each other, while they are doing things. The American students will also benefit from the exchange and think more globally. How do you envision that education guiding the path toward resilience? What can be done in the short-term? People here [in South Sudan], they think that [other] people may not be as human as them or may not have the same needs as them. When you bring them together, “You know what, they look like us. They do things like us.” For example, when I brought people from Murle, it’s a tribe in South Sudan; and I brought people together to get eye surgery to the airstrip in my village, the people in my village said, “Let’s go and see the Murle!” They all ran to see the Murle. Then, they came back and said, “They look like us! They look like us!” Maybe they thought the Murle have four heads and six eyes, or something like that. When they saw them, they saw they were just human beings like them. When you bring a student from South Sudan here [to America], people will see they have the same needs just like us. They’re just human beings like us. And the South Sudanese will say, “The Americans are just like us. They are not crazy. They are not arrogant. They are good people. ” They hear a lot of messages that Americans are arrogant, America is terrible. These messages are from heartless people campaigning against America. People have these perceptions about the United States. If South Sudanese students come here, they will be able to say, “No, Americans are not arrogant. They are not terrible. They are not greedy. They are not any of those things.” There is a mutual benefit. Give people education. The Lost Boys and Lost Girls came to the United States; there are over 4,000 of us here. Over 3,000 are in Australia. I think over 1,000 are in Canada. If you can now give these people the opportunity to go back, that would be a short-term sort of help. They go back not only with the knowledge they gained in classrooms, but also the knowledge that came from the workplace and what they’ve seen. They can put South Sudan on a fast-track if you bring those people back to South Sudan and put them in the government sectors of South Sudan. These people will think alike, do things together. They will not need to have on-the-job training because they have been working for the last 17 years in America. And, we are just talking about the Lost Boys. For those who came with me, we have been here [in the United States] for 17 years. These people have knowledge, bring them back to South Sudan. Give them the opportunity to change the country. This is what I think will be a short-term quick-fix for many problems. Does the community of Lost Children remain in contact with one another? Yes, we do. In fact, we have almost like a reunion every month now. I just came back from Michigan because we had a reunion and we did some fundraising. Now people are working hard, they are building clinics. They are proposing to build schools, things like that. We often see each other. We have been actively planning to do good things in our country. If you go to South Sudan now, at least in my region, you will see the effort going on there to build schools, primary schools, building secondary schools and clinics. Things like that are great, and it’s working well. What most concerns you about the world today? My biggest concern is the growth of identity politics–where people say this is us, and that is them. Look at Brexit. Look at all of the things that are going on in the world. That is concerning to me, a lot. It’s a big problem. Those who have done a lot of things, those who are well to do; countries and communities are responding by saying, “I’m going to help my children first before I help others.” Things like that. There are those who cannot help themselves, they need help and where will these people go? We need to help each other. We have a responsibility. It is an American value to also help others. If America says, “I’m going to help America first,” which is OK, there is nothing wrong with helping American first–but also be mindful of others as well. This is why God has given you power. When you have power, you share. When you have power, you help others. Identity politics is going to be a problem and that is my biggest worry. It is very divisive. If divisive politics continue to go to places like South Sudan; which actually has division already based on religion and things like that. It’s divided already, why divide it more? If you throw in identity politics too, that you heard from America; America is talking about it, Europe is talking about it, other places are talking about identity politics. What will others do? It will divide them further. That is my biggest worry. It’s a bad model to the world, and I don’t see why we are starting that. I think that success and struggle is a package. With these struggles going on here; it’s OK to struggle because when you struggle, it will give you strength. It will put your perspective together–you will focus more on things that matter. It is ok. I am very hopeful because I’ve seen it before. Those who do not give up are actually those who will live longer. Those who are going to succeed longer, or succeed quickly, are those who don’t give up. Struggles are not unusual. Divides come and go. I do think they will go. Problems come and go. I hope that as long as there are people with good hearts–people who are generous like my donors, those who are very social like my employees and volunteers; I have hope that it’s going to be OK.
For those who read this, I want them to look back to their lives–since they were little, they stumble and continue to move on. They fell and got up. I want them also to see the world history. What happened during the Stone Age, or the Medieval period? They were terrible [times] and they [the people] overcame problems such as all the difficult diseases that are supposed to wipe people off the earth, and people survived. Look at the First World War, the Second World War, the Cold War, the Great Depression. If they read the history, they will see that we all go through problems, we will all come out. Those who will survive–those who will come out of it, are those will never give up. I am hopeful that this is a bump along the way and in the next weeks, few months or years, we’ll be OK. When the United States gained independence, it was not stable until 17 years later. There were four currencies circulating in America. There was fighting between politicians. The Vice President was fighting his president and using newspapers for bad press about the President–and that was Jefferson! So many bad things happened in America during the first 17 years. But, America lived to be what it is today and still has struggles, but it’s better. I have hope there will be brighter days ahead for South Sudan– as long as we stay the course and continue to do the right things. John Dau has experienced challenges in his life that most people never imagine. Born in war-torn Sudan, Dau is one of 27,000 “Lost Boys of Sudan,” driven from their villages when the northern Arab government attacked the ethnic minority population of South Sudan in 1987. For the next five years, John Dau led groups of displaced boys across Sudan for hundreds of miles facing starvation, disease, and violence. While living in a Kenyan refugee camp from 1992-2001, John Dau attended school for the first time at the age of 17 and earned a prestigious Kenyan Certificate for Secondary Education. In 2001, Dau was selected to immigrate to the United States and settled in Syracuse, New York. Following his initial culture shock, John Dau took on two, sometimes three jobs, earned an associate’s degree and Bachelor degree at Syracuse University. Currently, John Dau is the President of both the John Dau Foundation (JDF) and the South Sudan Institute (SSI). He is an influential part of many efforts to bring hope and peace to the people of South Sudan, founding four non-profits and with help from American volunteers, John raised over $3,000,000 to build and operate the Duk Lost Boys Clinic in his home village of Duk Payuel. John Dau now speaks professionally throughout the United States, Canada and Europe. In 2006, John Dau was featured in the award-winning documentary film, “God Grew Tired of Us”, and wrote his first book also entitled “God Grew Tired of Us”: a Memoir, published by National Geographic in 2007 both of which are circulating in the West, South Korea and other places as well. As a human- rights activist for the people of South Sudan, John has lived a remarkable life of cultural adaptation in America. He has received many prestigious awards, including National Geographic Emerging Explorers Award and was a Volvo for Life finalist in the Quality of Life category, which carried a financial contribution from Volvo to the John Dau Foundation. John was also named alongside of DRC President Joseph Kabila, a World Economic Forum Young Global Leader for 2008 and together with Former Secretary of State, Gen. Collin Powell, he received a Most Caring Award from the Caring Institute and received an Honorary Degree of Letters from Alma College along with 38 other awards. 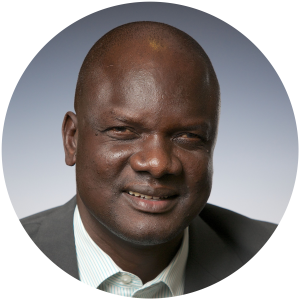 John Dau is an experienced social entrepreneur. He has founded four non-profit organizations. In 2003, he founded the Lost Boys Foundation of New York, which raised funding for books and medical expenses for Lost Boys living in the United States and was instrumental in founding the American Care for Sudan Foundation, which solicited funds to build and operate the Lost Boys Clinic in Southern Sudan. John Bul Dau speaks on a variety of topics at corporations, churches and colleges, including a commencement address to 10,000 people at the University of Minnesota‘s College of Arts and Sciences graduation, for top executives at a United Technologies Corporation conference. His mission is to create possibilities in life for those who are in dire circumstances within his home country and who need his support. No Replies to "South Sudan: One People, One Country"